When Does the Biggest Advantage Become the Biggest Disadvantage? Working in the cloud environment ensures free access from any place and at any time. So, no matter where the working force of a company is located, they can all work simultaneously (even at any time they wish). Since everything is stored in the Cloud, this makes the data easily shareable from anywhere. It automatically saves any revisions or changes made, without any extra effort on the part of the users. Work flexibility is surely a great advantage of working over the cloud networks, but all these flexibilities and easy access many times cast a fear of associated risks. There are many instances where enterprises have been hit by serious hacking attacks. No doubt, Google gives various guidelines and restrictions as well as some password policies. But, when you look closely, you will not find them as strict as they should be. Let’s do a reality check. Almost all of you know that it’s always better to use a combination of special characters, numerals, upper case and lower case letters in your passwords. But, how many of you using Gmail, follow this? Most of you even tend to skip various security options like adding your phone number or recovery email. To be very practical, service providers cannot be very strict in this respect, as it often leads to high turnover rate to any other easy options. But, you can’t promote the same thought-process when you are running your organization, because the implications can be very taxing on your business; if ever a hacking attempt is made, you know that your business will all go for a toss suddenly. Employees always look for shortcuts; all it matters to them is to get their work done in the shortest possible time. It’s the management who has to enforce some workable security norms to follow a secure path. Password Policy: Well, the answer lies in CloudCodes for Business, providing greater cloud security with additional enterprise capabilities that give unbeatable protection from any security breach, featuring a strong password policy, which is mandatory for everyone. So, no employee can skip it. Admin can implement complex passwords and can set inclusion of special characters, numerals, upper and lower case letters, and even the length of your passwords. Various restrictions can be added like banning the use of keywords and usernames. And restrictions can also be imposed on previously used passwords. Admin can also set for automatic emails to inform about any suspicious login attempts. For this, they can set the number of wrong attempts and account blocking after a certain number of failed attempts for set numbers of hours. Password reset and password recovery attempts can also be monitored to play safe in this cloud security regime. It also allows you to set password expiry limit. 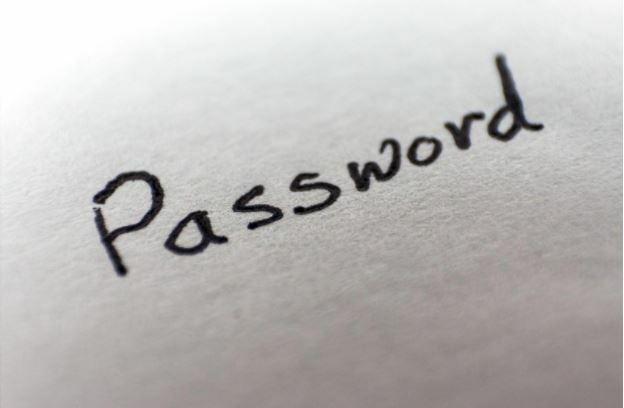 This is important so that employees keep changing their passwords regularly. For this, it also features automatic reminder email before expiry. Password Reset: CloudCodes CASB solutions are great in providing the necessary cloud security. With all the checks for the use of strong passwords, working systems become secure manifolds. In connection with the password security, Self Password is another great feature of gControl. Since strong password policy is implemented, chances are high that employees are going to forget and miss out their passwords. In fact, most of the users end up choosing an easy password just to recall it without straining their neurons. The self-password lets resetting of password whenever a user forgets it. It uses the OTP and questionnaire method to get back the password. The process of resetting is self-explanatory so that the employees don’t engage the IT team in this not-so-productive password reset work and they can focus well on other important aspects of security management. Multifactor Authentication: Then there is Multifactor Authentication, which is also very useful. It’s a very innovative method, which employs the latest technology in practice. Many of the users have used biometric authentication using fingerprints. Multifactor authentication also does the same using the phone to input the fingerprint at the time of login. It’s a step ahead of the conventional two-step authentication method that uses one-time password (or OTP) to authenticate the login. It’s such a strong feature that protects the system, even if hackers have the login credentials (username and password) and also the registered phone. Apart front these password related features, there are several other strong features that CloudCodes for Business provides. These are IP restriction, Geo-Fencing, browser restriction, and device restriction. IAM or Identity Management feature of CloudCodes superior CASB solution is a type of personal verification done via Password Management, which is used to prevent the occurrences of data breaches. IAM identifies individuals with verification steps inside a particular eco-system say a country, or a network, or an enterprise for ensuring better cloud security. The IAM feature helps in controlling data access within the enterprise by incorporating certain user-level policies as well as some restrictions with verified identities to control user information on the system, making it possible to identify/manage/control different user identities throughout the company through these policies. This is really a very intelligent way of dealing with the security of the identities within an organization.